History. Billboardinsider.com was launched by Dave Westburg in July 2015 to provide a free daily source of news and analysis on the out of home advertising industry. Billboard Insider covers all segments of out of home advertising (e.g. transit, airport, static billboards, posters and digital signs). Billboard Insider also publishes an annual ranking of out of home advertising websites and lists of out or home investors, lenders, women in out of home and out of home vendors. Podcast: Billboard Insider publishes a 20-30 minute podcast every other Wednesday. The podcast is distributed on apple Podcasts, Android, Google Podcasts, Stitcher, TuneIn, Spotify and via the Billboard Insider website. Readership. Billboard Insider is growing fast. In March 2019 the site received 51,292 views from 15,573 visitors. The site has motivated readers. Each visitor views 3.5 pages per session well above the industry average of 2 pages per session. Billboard Insider’s daily email newsletter has 2,166 subscribers. Our newsletter has a 52% open rate versus a 10-20% for most newsletters. The Billboard Insider Twitter feed has 834 followers. Billboard Insider facebook page has 768 followers. Posts are also distributed to our network of 2,728 followers on Linked in. Advertising. Advertise with Billboard Insider and you reach people obsessed with out of home advertising. Ads must be submitted in web-ready format. JPEG files preferred. No animation. Content may be changed whenever client wishes at no charge if client provides web ready banner artwork. The site has the following advertising opportunities. Left of Header Ad – A 300 by 385 pixel ad appears to the left of the Billboard Insider Header and also includes placement at the end of each post on the site. The ad comes with a free classified listing. The ad is sold. Right of Header Ad – A 300 by 250 pixel ad appears to the right of the Billboard Insider Header. The ad comes with a free classified listing. The ad is sold. Below Main Menu Ad – A 1060 by 120 ad just below the main menu on each page of the website. The ad comes with a free classified listing. The ad is sold. Homepage Ad – This 468 by 60 pixel ad appears in the middle of the Billboard Insider home page just below the featured articles. The ad comes with a free classified ad listing. The ad is sold. Right Hand Column Banner Ads – Billboard Insider runs ten 300 pixel wide by 250 pixel tall banner ads along the right hand column of the website and at the foot of mobile versions of the website. We have 2 of the 10 spots available right now. Contact billboardinsider@gmail.com if you wish to advertise. Classifieds – Classified ads can be self-placed on the website for $60 for three months or $120/year. To place a classified click on the Place A Classified Ad button on the home page. Top Daily Newsletter Ad – This is a 675 pixel by 225 pixel header ad which appears just below the Billboard Insider title on the daily newsletter. The ad is sold. Bottom Daily Newsletter Ad – This is a 675 pixel by 225 pixel ad which appears at the bottom of the Billboard Insider daily newsletter. The ad is sold. Podcast Sponsorship – The sponsorship received mention at the beginning and ending of each podcast episode, a 30 second ad in the middle of the podcast and an ad in the middle of each Billboard Insider article summarizing each podcast. “I thoroughly enjoy and look forward to your daily blog.” Lou Heller, Momentum Properties. “Dave, congratulations on the tremendous growth in readership for Billboard Insider. You do such a great job of allowing us billboard lovers to follow what’s happening in the industry everywhere on a daily basis. Please keep up the good work. It’s the first email I read each morning, even before the sports news!! The best to you in 2019” Paul Sara Billboard Consultant. “I love starting the day at Billboard Insider. It’s nice to have that attachment to the industry.” Jeff Lee, Owner, GEFT Outdoor. “I look forward to your updates daily! You seem to always have interesting and relevant material. Keep up the great work.” Russ Nelson, Lamar Advertising. “Couldn’t be more happy with your newsletter – so informative and enlighting, especially for new billboard operators like me.” Stephen Johnson, New billboard operator. “I read it every day, and you do a great job.” Alex Buffet Rozeck, co-CEO, Boston Omaha Corp.
“I enjoy your articles, it is a great email to get every day.” Michael Russell, Corporate Controller, Reagan Outdoor. “I received several emails from old acquaintances in the industry who saw the Out of Office post about me this weekend! A true testament to how many in the industry read your journal! Thanks for what you do!” Jennifer Sloane, The Law Office of Jennifer Sloane. “Thanks for all you do. 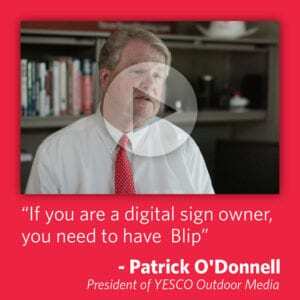 Several of us at the office read every day.” James Munnerlyn, Co-founder and President, Blip Billboards. “I absolutely love Insider. Look forward to it every morning” Steve Gilligan, Lamar. “This daily blog is run by one of our Operator Associates, Dave Westburg…His connections from over 20 years in the business give him a terrific insight into all things billboard.” Independent Billboard Operators USA. “You do a great job with Insider. I try to read it every day.” Dave Roland, Roland Digital Media. “I enjoy reading your articles about the outdoor industry. Thanks for all the good info.” Sharrod Delia, Delia Outdoor Advertising. “Billboard Insider is the OOH hub for breaking headlines, articles, and engaging visuals related to the industry…Billboard Insider is a great source to look to whether you’re searching for a timely article to cite in a blog post, or simply just browsing the web while doing some easy reading.” Ian Goertzen, DoMedia. “I stepped out of the OOH space about 18 months ago after nearly 26 yrs with Clear Channel but still like to stay connected to what is going on…BillboardInsider is one of those sources that I find useful to accomplish that.” Tom Muench, Out of Home executive. Thank you for being a great news source for the latest billboard news.” Haleigh Powell, Huntington Outdoor. “Keep up the great work!!! We love reading your blog everyday!” Amy Davidson, Porlier Outdoor. “Congrats for building such a nice franchise and providing such a valuable service. I’m impressed by how quickly your web site and blot posts have become such a valuable resource for the industry. I alway take time to read your coverage – and know many others feel the same way.” Rod Rackley, Partner, Anthem Displays. “I enjoy getting your emails each day. I read each one of them.” Jerod Norris, Norris Outdoor Advertising. ” Love what you do and how keep our industry informed on what the heck is going on.” Bill Durden, Durden Outdoor Advertising. “Congratulations. Great Service.” Don Wright, findabillboard.com. “The Keyes boys are a fan of and enjoying your product!” Joe Keyes, Hart Billboards, Key-Ads Billboards, Keyes Outdoor. “A much needed internet source for the exchange of information in the outdoor industry. Current and accurate…” Billboard Artist Benn Zaricor. “I have really liked what you guys are doing.” Charles Miller, CEO, Burkhart Advertising. “I wanted to let you know how much I enjoy Billboard Insider.” Vince Miller, President, DDI Media. “Your website is quickly becoming the go to source of info for the industry. I check it out several times per week and find the news and info very relevant, timely and interestingly informative.” Larry Roberts, President, Boardworks. “The first thing I do each morning is review your post.” Dwight Jennings, CEO, Outdoorlink, Inc.
“I just wanted to let you know how much I have enjoyed your blog postings. Believe it or not, they are just about the first emails I read every morning. I find them very informative, straight to the point and covering a great diversity of industry relevant topics. Just wanted to say thanks for all of the good reads.” Billboard Appraiser Donna Desmond, Donna Desmond Associates. “Love what you are doing for the industry.” Rick Newcomer, EVP-Sales, Signal Outdoor Advertising. “I’ve been with Porlier for almost 17 years now and I can’t thank you enough for the valuable information you’re sharing on your blog.” Amy Davidson, Porlier Outdoor Advertising. “I enjoy reading your website regularly.” Mark Gamble, Vice President, Transformation Media. “Enjoy your publication.” Jim Moravec, Owner, Stott Outdoor. “Great articles. I enjoy reading every morning.” Nic Giacomini, owner WC Media Inc.
“Thanks again for the Insider – it’s especially great for those of us so new to the industry; we’re using it to help the newest members of our team” Carrie Dodd, Executive Assistant, Independent Billboard Operators. “Thanks for the company of the day article. We really liked the article and appreciate the exposure you gave us. I have found your facebook page and website, and I will refer back to them often.” Mike Mortenson, Mortenson Outdoor Sign. “Dave, thank you for adding significantly to what is now a much-better-informed out of home advertising industry in the US.” Nancy Fletcher, President and CEO, Outdoor Advertising Association of America. “5 out of 5 stars. I stay connected with up to date information through Billboard Insider. Great news resource for the industry.” Andrea Messimer-Henley, Out of home advertising sales executive. “…thanks for your articles. They are insightful and well-written.” David English, Sales and Operations Manager, Ad-Trend, Inc.
“I’m very familiar with Billboard Insider. 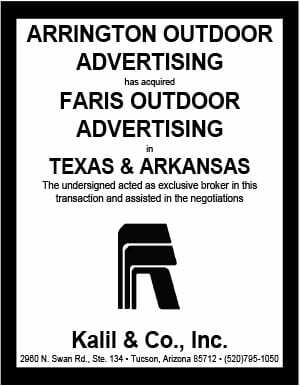 It’s part of my daily reading (the most enjoyable part) as its the only publication that truly has a pulse on the outdoor industry.” Dan Divine, Owner, Divine Outdoor Advertising, Inc.
“You’ve built a good readership. I hear about certain posts all the time. I work with every CEO at the top 6 ooh companies and all their VP’s and managers now read it.” Nic Coston, Media Buyer. “We have never met but I appreciate what you do to keep our industry up to date.” Bill Durden, VP, Durden Outdoor. “I just wanted to let you know that I greatly appreciate your work on Billboard Insider, it is the first thing that I read every morning when I sit at my computer with my cup of coffee! I greatly appreciate the industry insight! Keep up the good work.” Vincent Pannutti, General Manager, Camel City Poster Productions. “Billboard Insider Dave Westburg is one of our Vendor Associates and does the independent world a huge service by tracking the various news and topics de jour and serving it up to us in consumable bites in his daily email blast.” Chris Cowlbeck.” General Manager, Independent Billboard Operators USA. “We love Billboard Insider.” Kym Frank, President, Geopath. “I enjoy reading your news blasts.” Mary Prisco, Clear Channel Outdoor. “I love the Billboard Insider emails. Very informative. Keep up the good work!” Gary Riley, Out of home executive. “Just wanted to drop you a note, letting you know how much I look forward to, and appreciate your posts on the industry. I’m not one to have an eager anticipation of any type of posts on LinkedIn (or any social media for that matter), but you are the exception to the rule. Your updates and posts are insightful, clear, concise, and informative. “I’m loving Billboard Insider. I read every article. keep up the great work!” Justin Powell, Huntington Outdoor. “Good morning. Great site. I work for one of the big outdoor companies and it’s the best info provider I’ve come across.” Jake Harrison. “We appreciate you and your great publication.” Tony Tyler, Tyler Outdoor. “Good job on Billboard Insider! I’m a subscriber and enjoy reading when I’m able.” Marcus Buggs, Billboard Planet. “Thanks for the tips and commentary on how outdoor helps independent business” Dave Roland, Roland Advertising. “I have enjoyed reading your articles everyday. Very insightful and shareworthy. Thanks for your effort. It doesn’t go unnoticed. Keep up the good work.” Andy Soares, Digital Sign Network. “Billboard insider is significantly better than attempts from various groups. As an independent operator it’s important to have this news.” Greg Phillips, Georgia Outdoor. To advertise contact Dave Westburg, 206-910-1283 or email Dave using the form below.